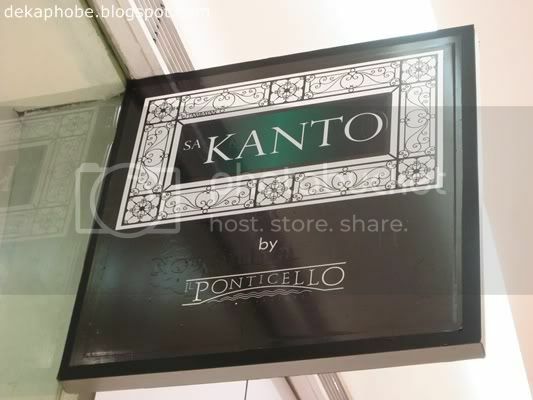 My fellow bloggers and I were invited by OpenRice to try this new Filipino restaurant in The Podium called Sa Kanto (emphasis on the 'Sa'). 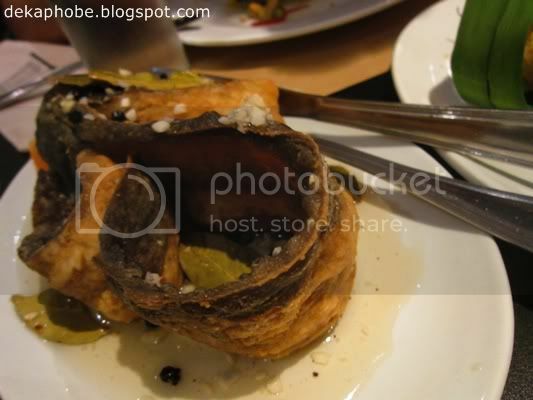 From the people behind Il Ponticello, Sa Kanto specializes on Filipino dishes with a twist. 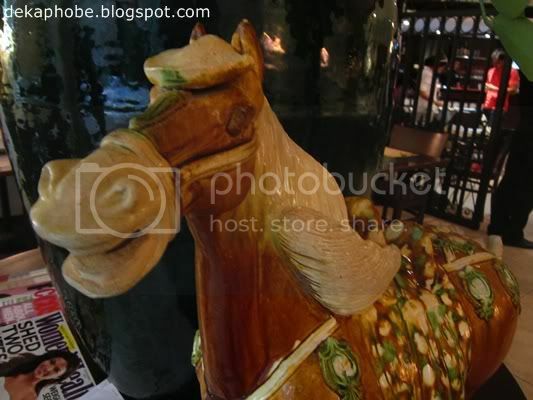 The interiors of the restaurant reminds me of Old Manila. It made me forget I'm in the middle of Ortigas. 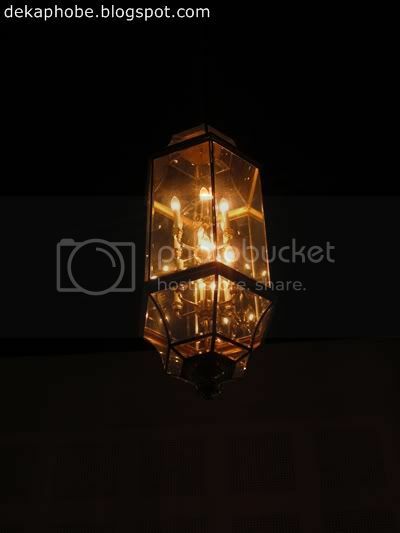 The decorations are very simple, and lighting creates a comfortable ambiance. 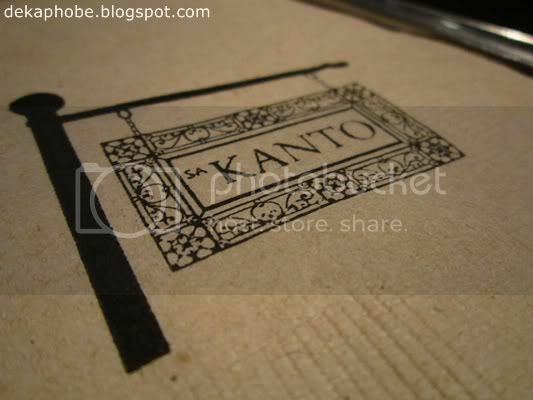 Sa Kanto also has an upstairs area for a much intimate dining experience. 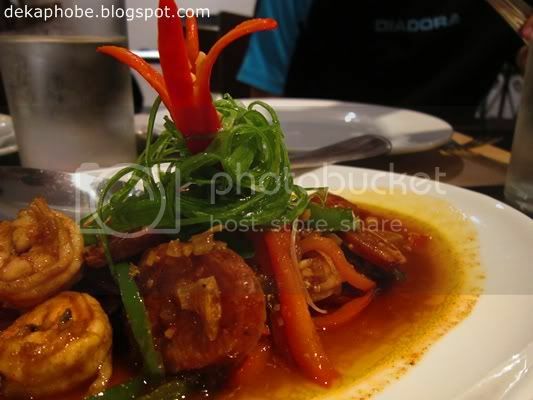 We were also served Gambas Chorizo (Php 330) as starter. The dish has sauteed tiger prawns, Spanish chorizo, chili and garlic. The spiciness is just right for me. I liked it that I think I could finish the whole dish. We were given their bestseller, Dynamite (Php 250) and some of their yet-to-be-introduced dishes: Isaw and Fishballs. 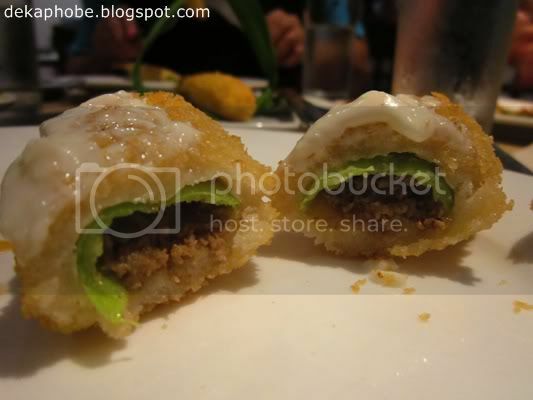 Dynamites are breaded and deep-fried chili fingers stuffed with beef and cheese. I have low tolerance for anything spicy but I was able to finish a piece of the dynamite, I liked it. 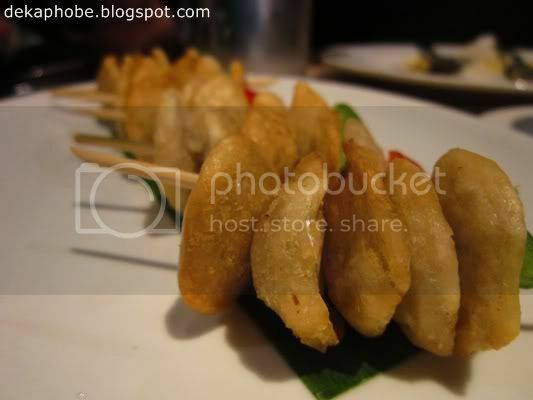 :) The fishballs are served with both hot and sweet sauces. I don't usually eat isaw but I'll take Sa Kanto's Isaw anytime. 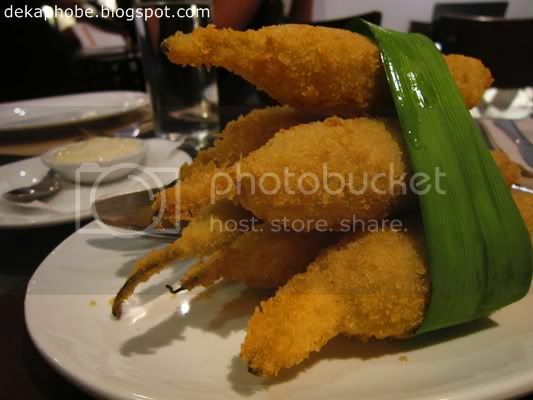 We got Crispy Tadyang (Php 445), which are fried selected beef ribs. Surprisingly, the beef is sooo tender. I agree that the beef really falls off the bone. 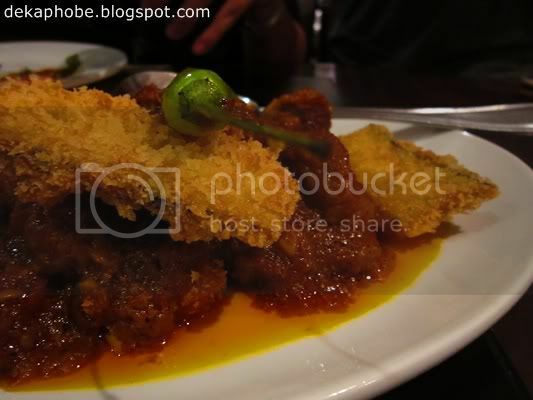 We also got Kare-kare (Php 380), roasted beef oxtail and tripe stew in peanut sauce. 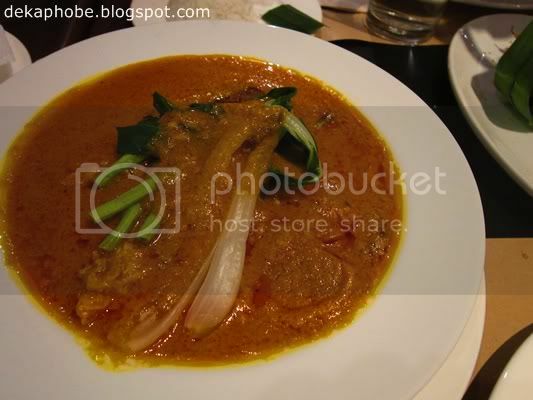 Kare-kare is one of my favorite dishes and it didn't disappoint me. 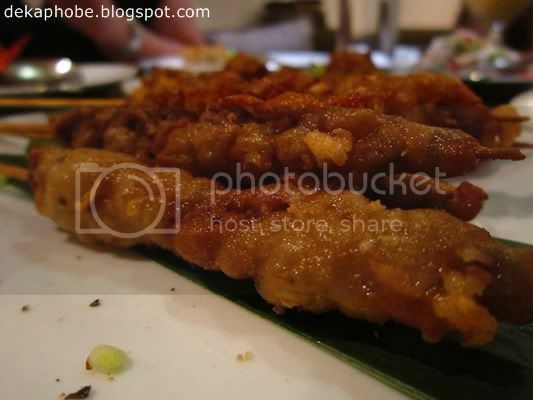 I could taste the ground peanut in the sauce, which I really love. 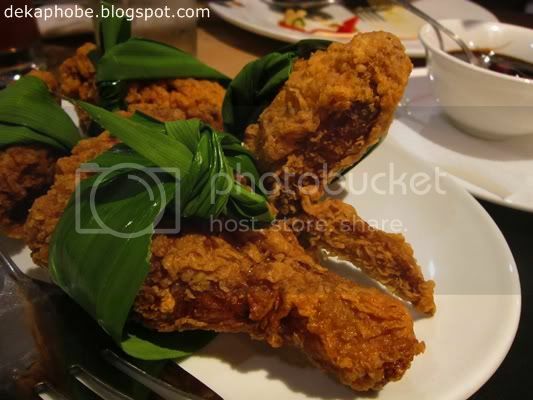 The restaurant owner Patrick allowed us to order one particular dish and so we got Kanto-Style Fried Chicken (Php 310). I was too full by the time this was served, but my friends found it a bit bland. 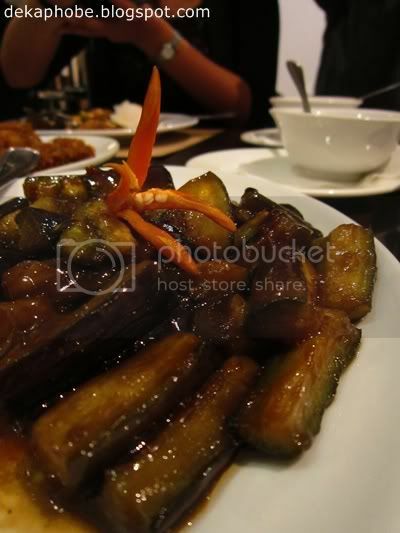 We were also served with Spicy Eggplant (Php 180), which is sauteed eggplant in olive oil, garlic and chili. I'm not keen on veggie dishes, I didn't try this one also. I wasn't able to stay for dessert but I'll definitely go back to try those desserts and the other dishes they offer. The homey ambiance is recommended for low-key lunches and dinners. 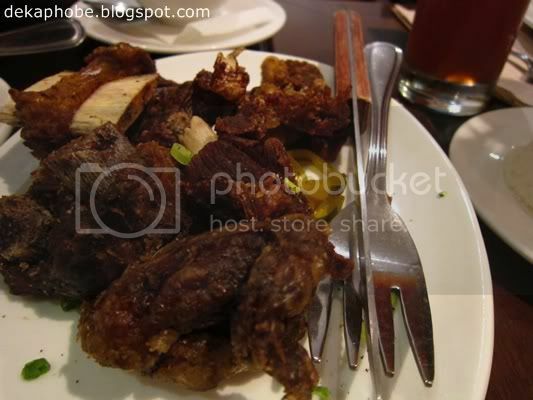 This is a place where you can really relax while enjoying the comforts of Filipino food. Thanks for having us, Sa Kanto. Pero their food really look great! And its a great touch that they also added some street foods. They are kinda pricey nga lang noh? 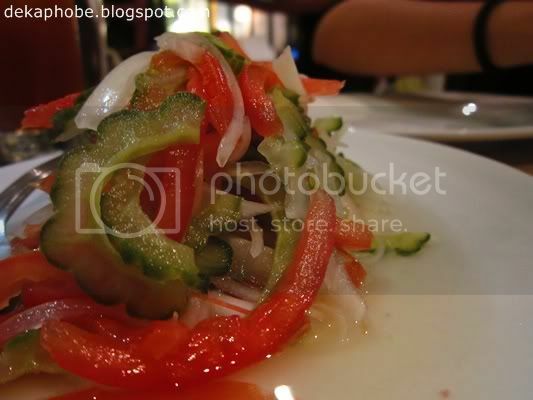 I wannavisit Pinas na so I can visit all these wonderful restos.